What are Soap Berries or Soap Nuts? Soap berries are inexpensive, biodegradable, totally green goodness and most importantly – they're so much fun! You can purchase these berries online or in some specialty shops like health food stores or wherever organic personal products and home care items are sold. 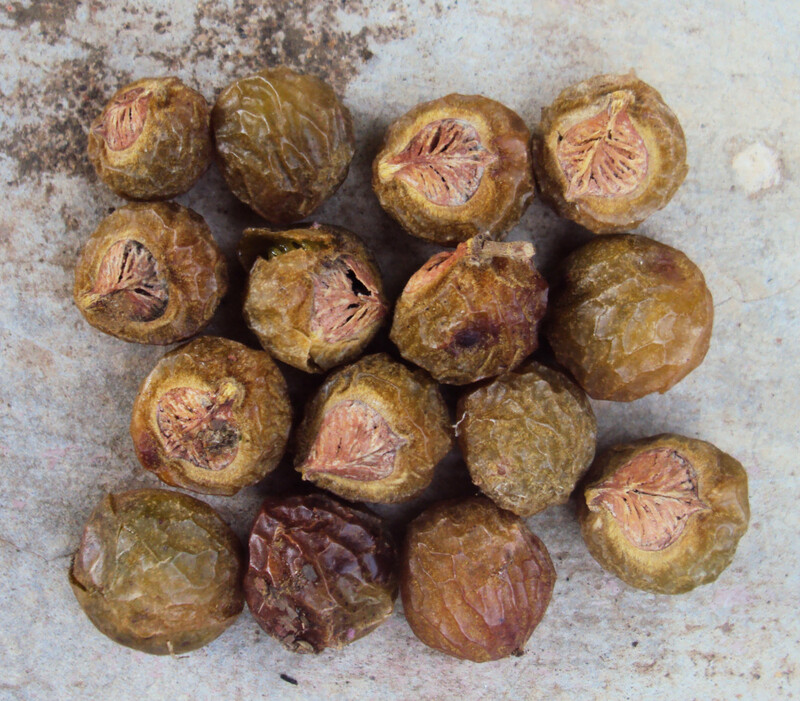 Soap berries or soap nuts, are dried, reddish-brown wrinkled berries that are about the same diameter as a quarter. When you pull them out of the package, you'll notice they are hard and hollow and sure don't look like much. The first time I saw them, I was kind of perplexed, but decided to give them a go anyway. 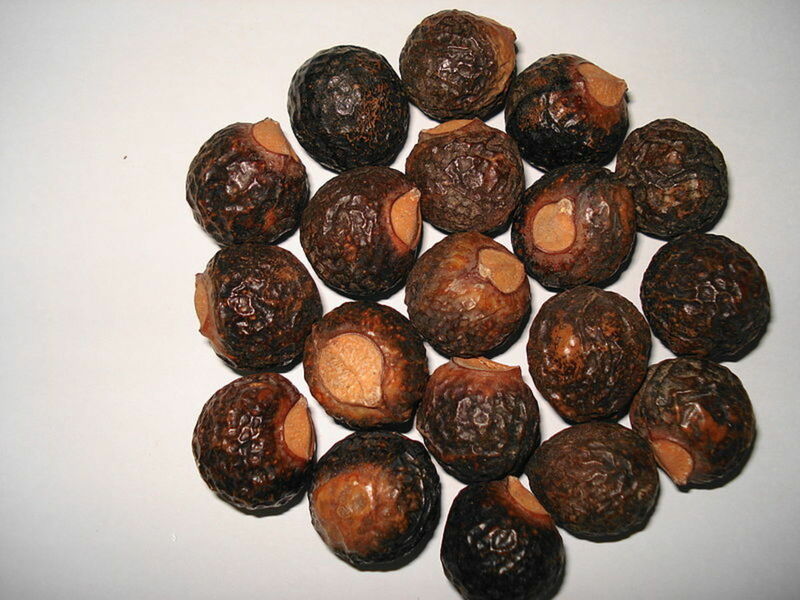 Soap nuts are berries that grow naturally on a variety of plants in the Sapindus plant family. They are native to warm, tropical regions. The berries contain saponin, a natural detergent that is anti-fungal, hypo-allergenic, and anti-bacterial. The natural soap they produce is so mild it is often used by parents to launder cloth diapers. Soap berries can be used as a natural, bio-degradable Earth friendly laundry soap, household cleaner and even shampoo. It's nice to use a product that doesn't pollute the water supply with all of the chemicals found in commercial products. It is safe, gentle and very easy to use! 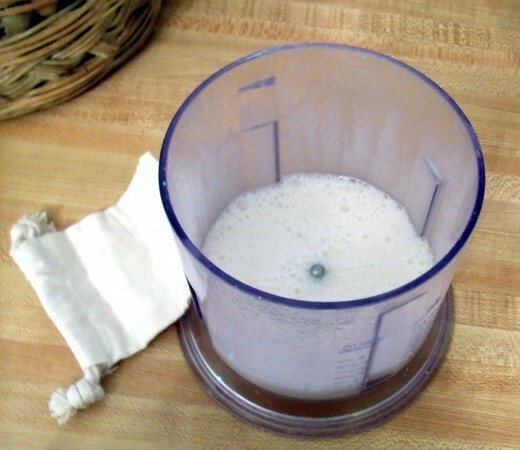 It is very easy to make liquid soap with soap nuts. This liquid can then be used as a base for liquid laundry detergent, shampoo and other cleansers. Add several (about 10) soap berries to 6 cups of water and bring to a boil. 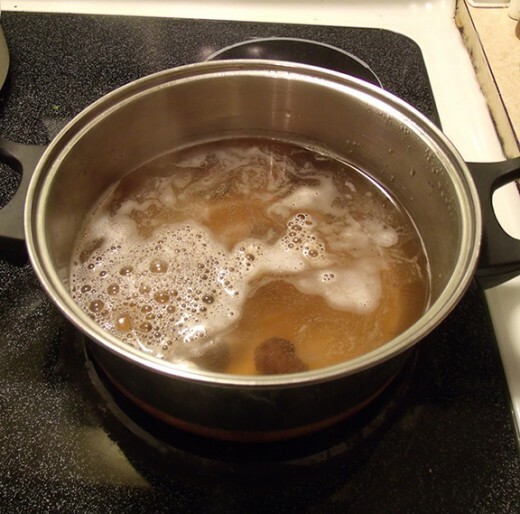 Allow to boil for 15-20 minutes until all of the natural detergent is released. As you cook the berries they will become soft and squishy. Press them with a spoon to get even more soap out of them. The water level will decrease a bit and that's fine. You will notice as they cook, the water turns an amber color and bubbles start to float to the top. Once this happens remove from the heat and allow to cool. 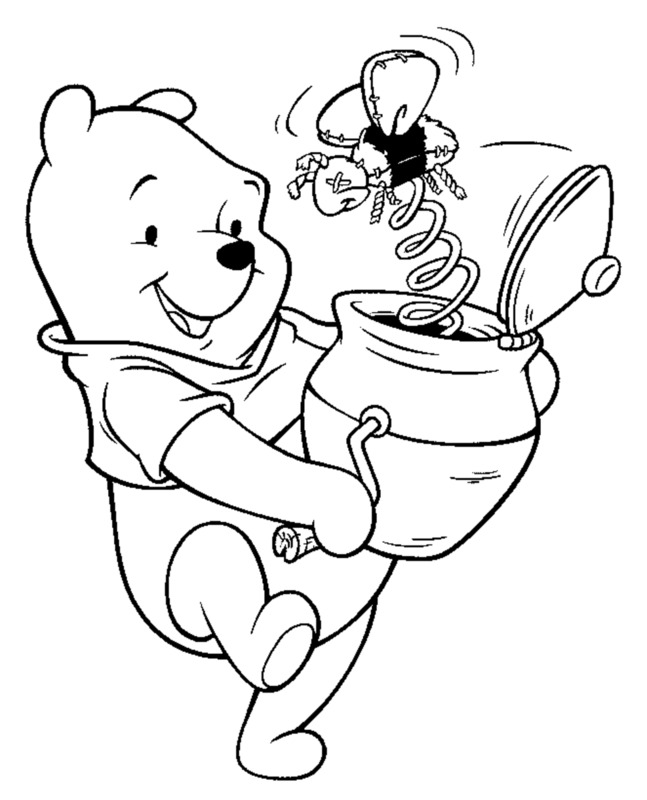 Once cool, store the liquid soap in a sterile jar with a tight fitting lid. You can strain the berries out and use them for other purposes or leave them in, it really doesn't matter. I add several drops of Grapefruit Seed Extract (GSE) to my mixture to prevent it from going rancid. It will last a couple of weeks on the counter without the GSE or you can store it in the refrigerator to increase its shelf life. Your soap berries will come with a little drawstring cotton bag. You can use this to add several berries directly to the washing machine. You can get 10 – 15 washes out of the bag. If you prefer liquid detergent, add 2 to 3 Tablespoons of the liquid soap from above to the wash. It should be noted that this soap does not provide suds, making it great for many newer model washing machines. There is also no scent to the berries. If you want your laundry scented, add a few drops of your favorite essential oil(s) to the liquid soap. Recently, I tried an experiment that worked very well for me. I blended 2 teaspoons of liquid coconut oil, ½ cup of the liquid soap, ¼ cup apple cider vinegar and a pinch of sea salt in my ninja to thoroughly incorporate all the ingredients. You can see in my picture it turned white and frothy. I poured the mixture into a jar and used it later that day to wash my hair. Washing your hair with soap berries is not like regular shampoo. There is absolutely no lather and this can initially make it seem like you aren't really washing your hair – but give it a chance! I applied the mixture to wet hair and wrapped it in a towel for five minutes before rinsing. My hair was absolutely the silkiest and shiniest it's ever been and so manageable. No frizz in my waves – just fresh, shiny, full hair. I love it and doubt I'll use anything else the rest of the summer. I am in the pool a lot and the chlorine really dries out my ends, this shampoo was amazing despite not having the lathery effect I am accustomed to. If you don't like the idea of a conditioning shampoo or if your hair tends to be oily, you may want to just use the soap berries with the vinegar and not add the coconut oil or pinch of salt. If your hair is on the dry side, or prone to be a bit frizzy on hot, humid days like mine is, the addition of the coconut oil and sea salt (must be sea salt!) was amazing. I add ¼ cup of the soap berry liquid to a spray bottle and fill the rest with distilled water. Add essential oils to keep the mixture fresh longer. I use sage and bergamot together for a light, clean, uplifting scent. Add a few drops of each, shake well and test it. Adjust until you get the scent you desire. Other ideas include lavender, rosemary (or a blend of these), tea tree oil or citrus oils. All of these oils have properties that help preserve the cleaner. Shake well and spray on counters, fixtures, or any area where you would normally use an all-purpose cleaner. Hopefully you'll give soap berries a try – they sure are a lot of fun and there are many ways to use them. These are just the ones I've tried, but they can be made into many things. The berries I buy come with a little booklet of suggestions and there are several websites with other recipes and formulas. They are not well-known in the US yet and are really just now starting to become a little more mainstream here. That can make them difficult to find locally and they are usually less expensive when purchased online. Have you ever tried soap berries? I have used them before and I like them. I tried them and didn't enjoy them - they are too different. I heard you could make cleaning solution with the used soap berries. Like above. I had used ones in a jar and boiled them and added different EO to the three bottles I ended up with. I used peppermint, lavender, and lemon. I hope it works? love your info. You should ask an Indian about the proper use of soap berries. They are called "sapindus" which means "soap of India". And their first and formost use is Shampoo (originated from the Indian word Champoo meaning head-message). I remember my mother preparing soap berries for shampoo. They are very soft and makes your hair fluffy. All you need to do is apply some coconut oil a night before shampooing. 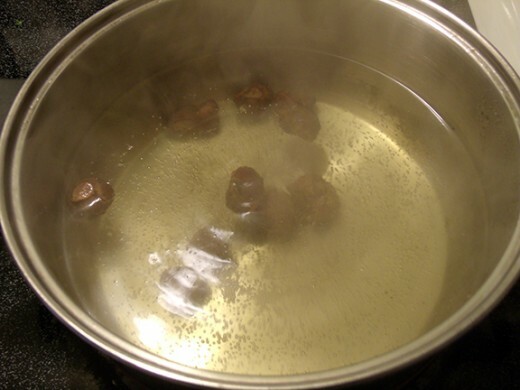 The next morning you can boil the soapberries. Later you have to blend them. As you blend the later will become more visible. Filter the liquid out and apply to your hair. Mind it that you cannot apply it like a common shampoo format. You have to pour it on your hair and massage your head thouroughly. Don't pour all the liquid in one go. Rinse your hair twice and then apply tea-leaves extract for conditioning. You can also apply some scented oil at the end. Make sure that you rinse your hair well or else the hair will be sticky sticky. For people who have less hair, they will feel hair more bouncy after the bath. I still have a box of Soap Nuts in my laundry room. I use them sometimes, but I also add a little home made laundry detergent with them for good measure. roysyas - let us know if how your daughter likes them. Anyone else who tries them feel free to stop by and let us know how you used them - would love to hear other experiences! RTalloni - I don't believe we can grow them here as they are native to very warm climates, so I haven't checked into it. TheCranberryBarn - love that name :) Thanks so much for purchasing through my eBay link. Feel free to let us know how you like them after you try them. Your support is appreciated. PStraubie48 Yes soap berries and soap nuts are the same thing - interchangeable terms. renegadetory - I had to lol I received a similar look :) Thanks for the Canadian resource for these. Cheelaurv - You should write a hub about how you use these and explain more about these other ingredients you add - I would LOVE to know more. DIY stuff is always right up my alley. Thanks for sharing! interesting hub, my girl loved it! She's busy trying it right now. Very interesting! I've never heard of soap nuts but sure glad you wrote about them and can't wait to try them out. Thanks! I really enjoyed reading your Hub! It's very well written, informative, and green! It's all good! I've been looking for a way to pay less for laundry detergent, prices have gone out the roof in the past couple of years. The fact that they're green, is just the cherry on top! I'll be ordering some soap nuts. Again, Well done! This is interesting-I had not heard of these and would like to try them out. Congrats on your Hub of the Day award and thanks much for highlighting soap berries and including your recipes/experience. I've been wanting to take time to experiment with soap berries/nuts for some time now and you've encouraged me to not forget! Got any info on growing them? I definitely need to try these! I had never heard of them before - what a wonderful way to get an all-natural, gentle soap! My boys have eczema and I bet this soap would be much gentler than the commercial varieties. Greetings! Congratulations on your HOTD. I can certainly see why this hub was chosen for the honor. I hope I get the op to try this out. Just stopping back to congratulate you on HOTD! Congrats on the HOTD! I have not heard of this soap berries or soap nuts before. It sounds interesting. I have to check it out online. Thanks for sharing this very informative and useful hub. This is something new that I've never seen nor heard of before. Interestingly different these soap berries! Good work and congratulations, Christin! It's nice to see a hub about these little guys. I just started using them and it was rather funny to see the look on my husband's face.. you're using what? I love that they are natural and what's even better is the value you get, it's very inexpensive compared to other detergents out there. If you live in Canada as I do you can order these through well.ca for a reasonable price if anyone is interested! This is a really interesting hub. You have written elaborately on a simple and useful topic. WooHOO HOTD - Great Job!! Wow! I have never heard of these. Great article! I just picked some up through your ebay link and contacted a local natural health food store locally. They don't carry them, but they have heard of them and suggested picking them up online. Can't wait to get them and try some of your ideas! Very cool! Very interesting hub! Voted up. Interesting. This is the second article about soap nuts I have read recently. Mary615 also posted one on this topic. I had never heard of them before reading that. 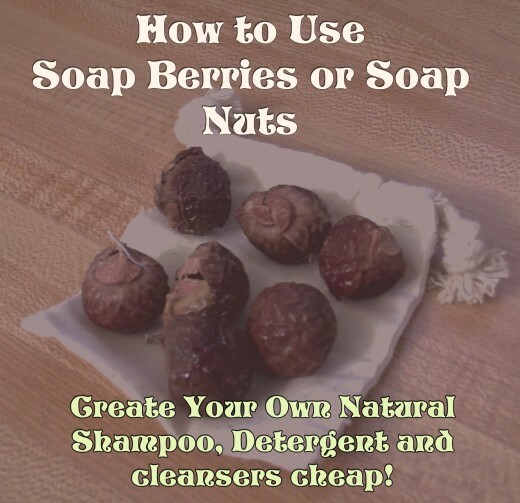 Are soap berries and soap nuts the same? Thanks for sharing. Angels are on the way. Interesting hub on soap berries.I have been using soap berries for decades.In our place we follow different technique in using them.We use two more natural things with soap berries khus or vetyver which has strong fragrance and cooling property,and dried fruit peels to (orange or lemon,or amla)remove oil.All these three are powdered finely and stored.When required it is mixed with little water to make a paste and wash with this paste leaves you hair silky,thick and fragrant. I learned about soap nuts some time ago and disappointingly have not done anything about using them yet. Thanks for these other suggestions and hopefully I will get my act together and use them. I like the hair shampoo ideas and like you have dry hair. We need to get use to not lathering up so much! Great hub with lots of practical advice for using soap berries. I have not tried them yet. Going to get some soon! Thanks for commenting - I'll be sure to have a look at your hubs on them also to see how you used them. They are certainly fun to experiment with. Wow! Reading this Hub was like looking into a mirror! I wrote a Hub on the same subject, and also wrote another Hub on how to make liquid from the Soap Nuts. I see that one is a related Hub to this one (above.) I have been using Soap Nuts for about a year and just love them. Thanks for spreading the word about these wonderful Soap Nuts. Useful info here. I work at a natural foods store and we sell a lot of soap berries there. Voted up. This is so interesting. I have never heard of soap berries before. I loved all your detail information and pictures. Voted up and shared. These types of hubs amaze me because I would never have learned this elsewhere. I'd love to make all of these natural products myself- I just never get around to it. Thanks for posting. Very interesting! Voted up. Thanks for voting and pinning - much appreciated. I also love using as many natural products as possible so I was thrilled to discover soap berries. This is an awesome hub. I have not heard of soap berries before and this sounds a really interesting thing to do and use. I will have a look on where to buy them and definitely give it a try. Thank you for sharing this useful information with us. Voted up, sharing, tweeting and pinning!